San Diego Comic Con: Day 1 and 2. Comic Con comes and goes so fast, but the second its over you are sad but conned out! 4 days went by packed with lots of walking, lots of lines, and lots of interaction with the 130,000 people that attend! 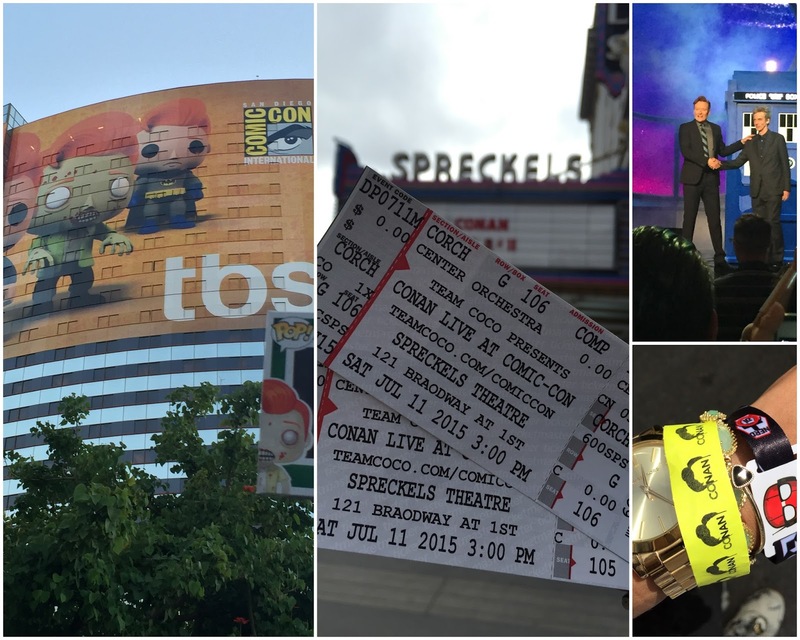 Kyle and I were lucky enough to get Thursday and Sunday Comic Con passes, and Friday, Saturday Conan Tickets. I recommend Comic Con even if you don't have badge credentials because there are a ton of events that you can go to around the convention that don't require a badge. SO day one we walked around the Convention ( go to my last post and watch the Youtube Videos to see more!) 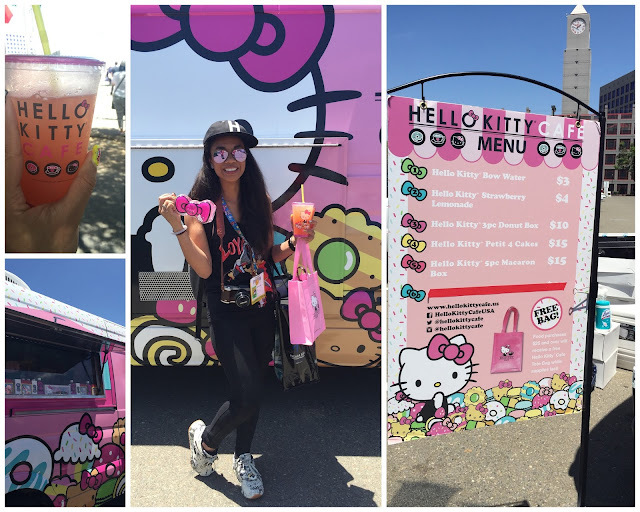 We purchased a few random items, but the Hello Kitty Cafe Food truck was my absolute favorite thing. We used day to to explore the convention on the inside, the space is huge. We were dealing with a personal matter so we decided to not go to the MTV Fandom awards that night, but I regret not going. It looked really awesome and Bella Thorne hosted it. MTV Fandom awards is one of the few events that requires a badge credential. There is talking that increasingly most offsite events will moving to Badge only, but this year we flew by pretty fine. Day two was spent trying to figure out Conan. Conan really consists of waiting in line. We had tickets through Iota so we found a spot in line around 6am. The box office didn't open until about 9, but your place in line determines your seat. This is how we got 7th and 8th row seats both nights. The show was at Sprekels and it holds about 1,400 people. We were able to see the cast of Game of Thrones, The walking dead, X-men and the Dr. Who from going to Conan. If you have been to Comic Con, you know what we are talking about when we say we are not about that Hall H or Ballroom 20 life. We also got our Conan Funkos! The only one we don't have is the Conan 1. We also spent some of day 2 at the mall. We have walked it before but it is behind Sprekles so we decided to have some fun. Conan was basically an all day thing because of the line at the box office, and the line to get in during call time, and then the show itself. The show filming went by really fast and it was really fun. Conan is very professional and I don't think he messed up at all while we were there. He was even dancing around in between takes, I wish I had an Aisle seat! He went into the crowd and took selfies with people!